After reverting to his pure techno roots both in the studio and behind the decks in 2016, UMEK kickstarts the New Year with a tour of US clubbing hotspots, including Soundcheck Washington and Flash Factory NYC. Recent highlights for the Slovenian DJ and producer include a flurry of techno cuts on his own 1605 record label, including ‘Flang O Matic’, ‘Mechanical Blade’ and ‘The Drum’, which featured vocals from the British electronic artist Mr. C. The apparent success of these and other records released this year have lead to him being named as one of Beatport’s highest-selling artists of 2016, putting him in the shortlist to be named one of the top 10 techno artists of the year, the results of which will be announced later this month. “The first six weeks of the year are usually reserved for my annual winter break, but this year I though I’d do something a little different,” says UMEK of the upcoming tour. “Gigs in the USA are always great and people respond amazing to my sets, so I’m really looking forward to it. In addition to the five club shows, the tour will be preceded by appearances at BPM Festival, Mexico for both Toolrooms Tramsmit vs Tronic, and capped off on Groove Cruise, a five-day floating festival departing Miami 23 January and ending up at Grand Turk 27 January. 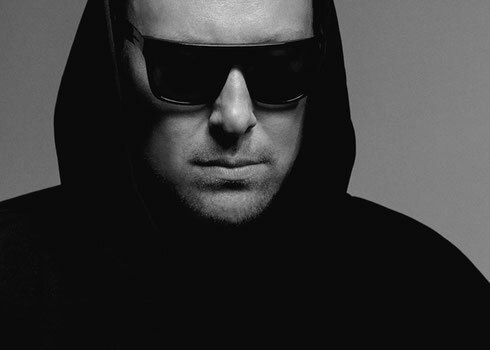 UMEK is apparently responsible for kickstarting the electronic music scene in his home country by organising some of Slovenia’s first ever illegal raves. Since then he has gone on to probably be one the country’s best known artists, having made his name on the world stage, graduating from the dark underground clubs of Europe’s cities, to the techno stages of music festivals. In addition to his musical output, he also curates and mixes his Behind The Iron Curtain radio show, a weekly mix show in which he selects and plays upfront techno from his favourite producers and labels. UMEK’s latest single ‘Different Routes Can Be Equally Successful’ is out now, check it out below. hey there and thank you for your info � I have definitely picked up anything new from right here. I did however expertise some technical issues using this web site, as I experienced to reload the web site lots of times previous to I could get it to load correctly. I had been wondering if your hosting is OK? Not that I'm complaining, but slow loading instances times will sometimes affect your placement in google and can damage your quality score if ads and marketing with Adwords. Well I am adding this RSS to my e-mail and could look out for a lot more of your respective interesting content. Make sure you update this again soon.